Trinidad Rodriguez, the oldest of six daughters, was pressured by her father to quit school her freshman year at Bowie High School in El Paso, Texas, in order to marry a man who would support her. Encouraged by a teacher that recognized her intelligence, she graduated as valedictorian in 1961. Married at age twenty, she completed her bachelor’s degree at University of Texas at El Paso. After a failed marriage and with three children to support, she completed her master’s at age thirty-eight. She went on to have a distinguished teaching career and is now a licensed professional counselor in San Marcos, Texas. 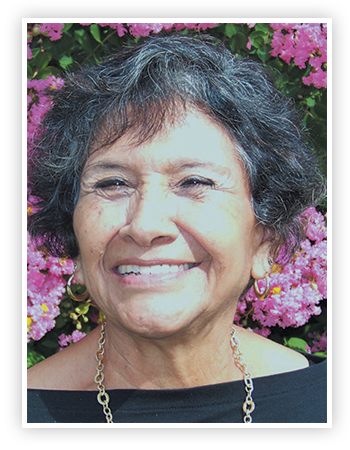 She continues a successful life of service to her community at the age of seventy-three.